One of Sr. Mary Litty’s greatest ambitions was to serve the under privileged in Africa. The loving Providence of God has given us a mission in Zambia in the southern continent of Africa. At the invitation of the Most Reverend Telesphore George Mpundu, Archbishop of the Archdiocese of Lusaka, Sr. Dr. Mary Litty went to Lusaka in November 2012 with four sisters and launched a Mission House (Providence Home), with the aim of serving the poor and the needy. 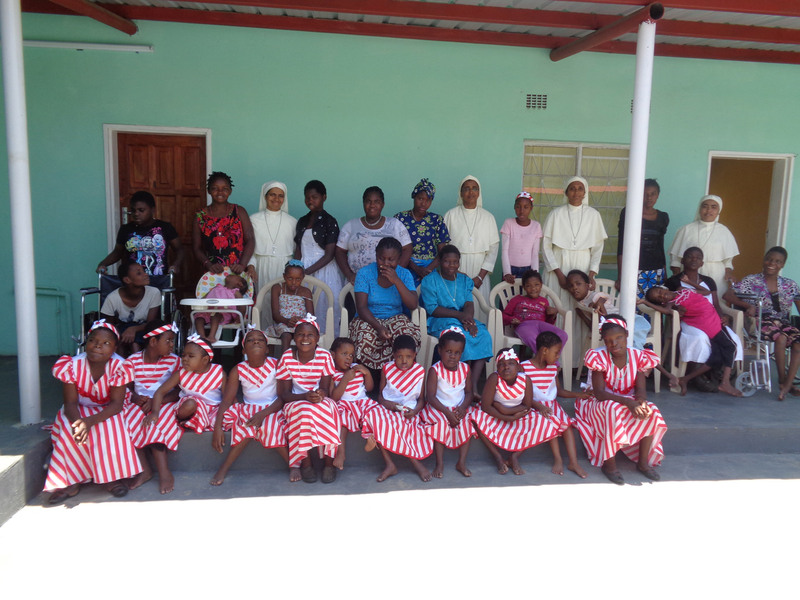 The Little Servants of Divine Providence of Zambia was registered as a Charitable Society of Zambia on 28 March 2013- registered pursuant to and in accordance with the provisions of the societies Act Cap 119 of the Laws of Zambia and the Regulations made thereunder. In Zambia, the Little Servants of the Divine Providence’s apostolate is to be witnesses of the merciful love of Jesus through caring for the mentally and physically challenged including the terminally ill and people living with HIV/AIDS till their death. The long term plan is to rehabilitate the focus group through treatment, care, love, concern and family visits irrespective of caste, colour and religion. The Divine Providence allowed us to build a house, which can accommodate around 50 residents. This new house was blessed on 14 May 2016. At present, there are 5 sisters and 30 residents in this house.